There are good teachers … and then there are great teachers. At this years Pride of Jersey Awards Complete Facilities sponsored the Teacher of the Year award, for the third year. An award which seeks to recognise those who have inspired countless children through innovative teaching methods. Making learning fun and creating an enjoyable, warm and friendly environment in which to learn. Pride of Jersey Teacher winners could include those teaching across all ages, including adult learning. They could have spent decades at the same school, offering stability and familiarity, or be a newcomer to the profession, bringing clever and engaging methods to the classroom. Teachers can have a huge influence on the lives of those they teach, and this is an opportunity to honour their work. 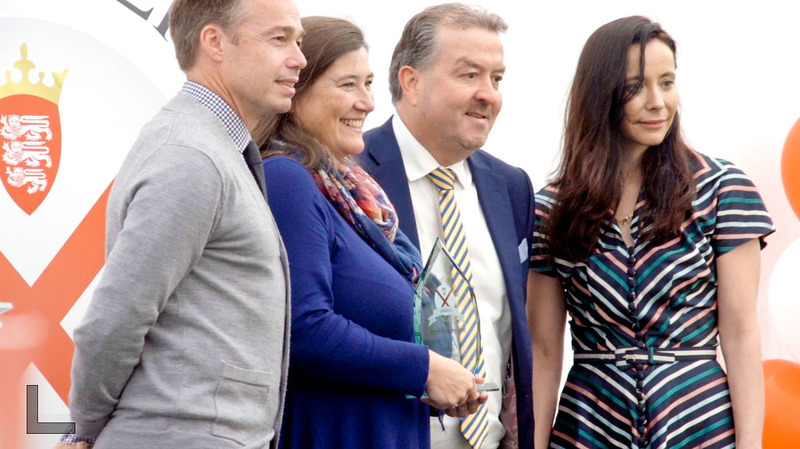 Last year’s Pride of Jersey winner was Jackie Pickup, a teacher whose endless support for the deaf children of Jersey made her the stand-out candidate in her category. At this years Pride of Jersey event, which was hosted at St John’s manor, saw Rebecca Lawrence take home the award for Teacher of the Year 2017. Rebecca Lawrence has been recognised for being an ‘inspirational music teacher’ who has contributed to the musical community in Jersey. As a song writer, she has seen her pieces performed around the world, including in the Orkney Islands. Her nominator, Naomi Mews, believes that she is ‘dynamic and energetic, always joyful and brings out the best in those she teaches’. Beyond her teaching at Samarès School, Rebecca has also played an important role in organising concerts with the Jersey Music Service and Music in Action over the past two years. She has been involved in several school concerts and participated in many this year alone. ‘Her enthusiasm goes across the board when working with children and adults alike and she deserves to be recognised for her talent, positive energy and drive,’ Mrs Mews said. ‘She builds the confidence and self-esteem in those that she teaches and has a real can-do attitude to life.’ Her nominator believes that Rebecca deserves the award for the joy she has brought to the lives of those she teaches and encourages her pupils ‘through all the ups and downs of life to keep calm and keep singing’. This years judges had a difficult time judging as all teachers are winners however we wish to congratulate Rebecca Lawrence on winning this year, she’s a very worthy winner and we are looking forward to awarding her prize worth £1000.